Silk Souvenir Scarf 1950's - Just Vintage Clothing Co.
A silk souvenir scarf from Switzerland in the 1950’s. 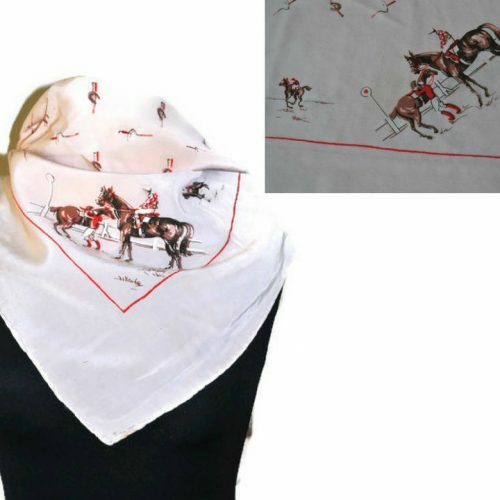 This square silk scarf has been hand-painted with different towns in Switzerland along with native flowers. The design on this scarf has been painted in greens, reds, blues and yellows. Each town-scape has the town’s name under it. While in the centre of the scarf there is a map outlining where each town is in Switzerland. 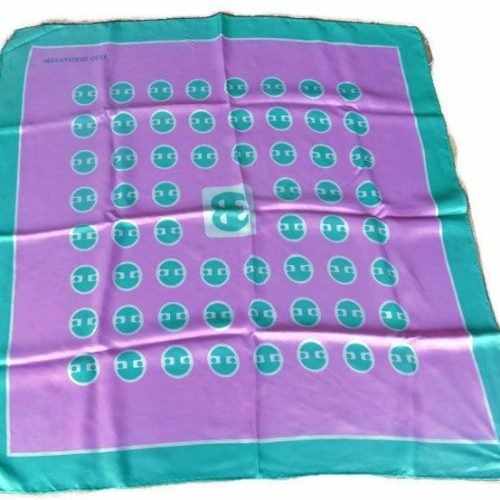 A lovely example of a silk souvenir scarf. This would work perfectly tied around the neck or as a headscarf. Condition: Small hole, please see image. It has also been tidily darned at some point. 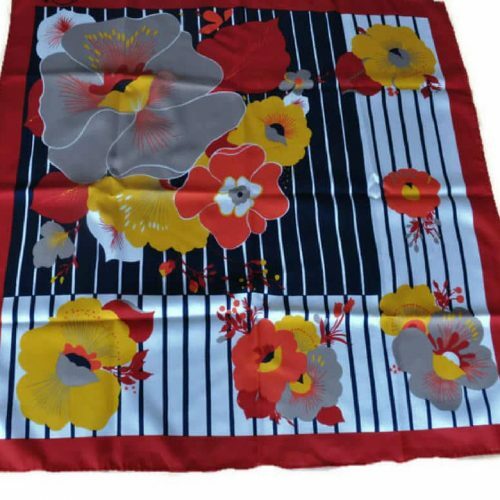 Be the first to review “Silk Souvenir Scarf 1950’s” Click here to cancel reply.